Your chiropractic website has one core mission: to help you get new patients. While there can be many components to a successful chiropractic marketing plan, there is one piece that is absolutely required: a quality chiropractic website. A great website acts as a foundation for your entire marketing plan, and you have to get that right if you want to be successful. We’re very proud of the platform we’ve created for our client sites. Over the last five years, we’ve built our own content management system and web platform, designed especially for chiropractors. Our N8 Chiropractic Website takes care of the basic features you need in a website, but very affordably. One of the key pieces of our chiropractic website builder is our content library that is designed to automatically boost your search engine ranking. A good search engine ranking is key, as it makes it easier for patients to find you online. To demonstrate how well our system works, let’s look at the search engine ranking of one of our new clients, Dr. Elganainy of Renaissance Chiropractic & Wellness Center. He had his site run by one of our competitors, but was unhappy with the results. We migrated his website to our system and had him up and running with his new site in just a few days. 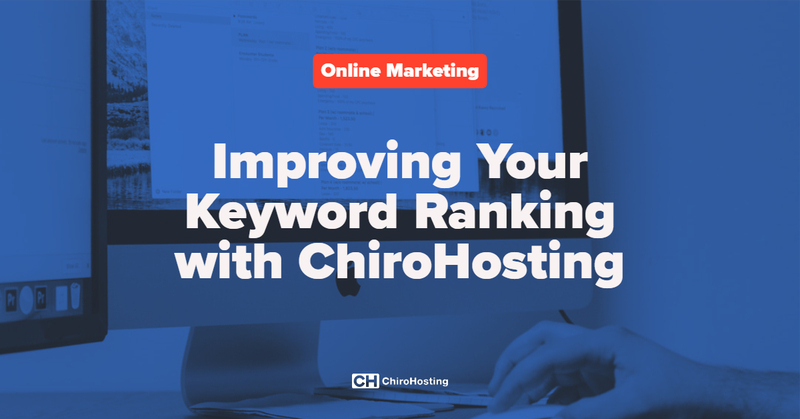 Just a few days ago, he received an updated search ranking from his old firm that demonstrated the effectiveness of ChiroHosting’s service. Here’s part of that report. As you can see, before starting with ChiroHosting, Dr. Elganainy had three keywords at #1 and 14 keywords at #2-5. After we migrated him over in December 2018, the January report showed that he now had 26 individual key phrases ranking at #1 and 18 ranking from #2-5. Simply by migrating him to our system with our chiropractic content library, he added 23 new #1 key phrases and 81 new ranked key phrases. 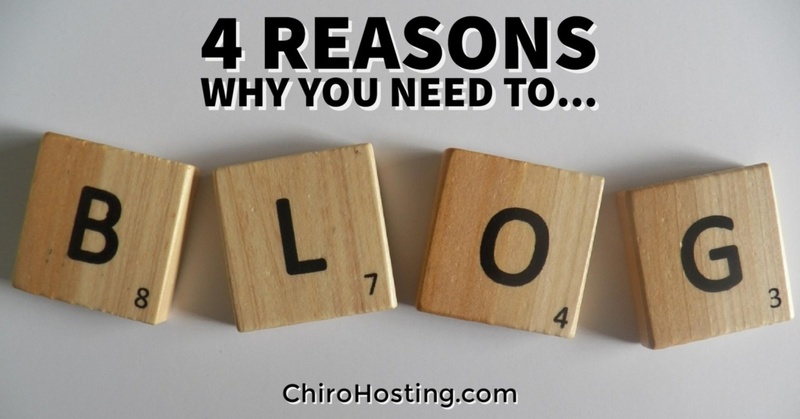 A higher search engine placement for your chiropractic website means better visibility, more traffic, and more new patients. If you’re ready to improve your website, give us a call today at (800) 295-3346. We’ll be happy to answer any of your questions. 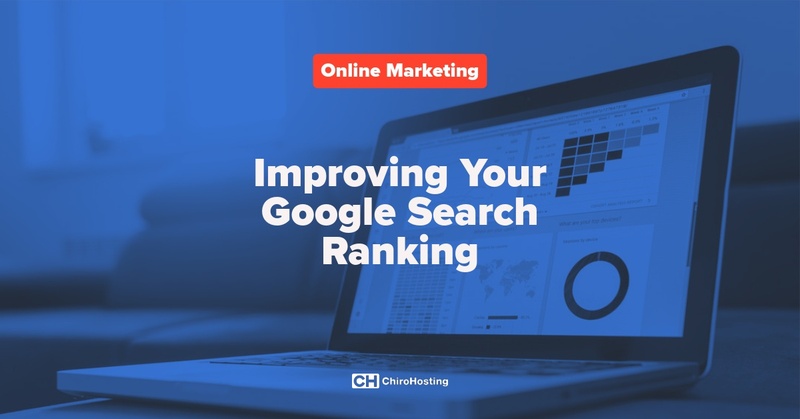 How do I improve my Google search ranking? Google Adwords. Organic listings. PPC. SEO.